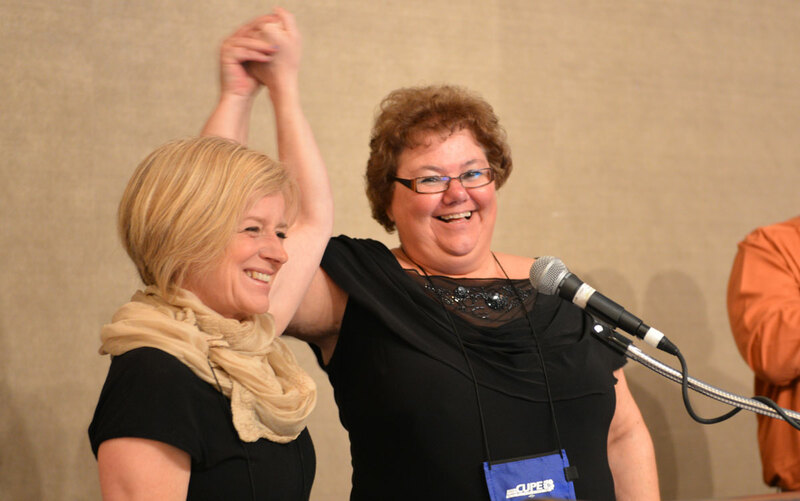 Alberta Division President Marle Roberts today congratulated Premier-elect Rachel Notley and her new caucus on their ground-breaking victory in Alberta. “I am thrilled that Albertans chose a government which supports public health care and education, strong and sustainable municipalities, and fair treatment for workers,” Roberts said. “And I am excited that 26 of the 53 MLAs elected to the government caucus are women, the highest percentage of any government in the country,” Roberts said. The PC government, first elected four years before Richard Nixon resigned as President of the US, had entered the election with a budget that slashed health services, failed to provide schools or staff for the increasing numbers of students this year, and threatened to erode the social fabric of the province through cuts. They also threatened to bring in regressive essential services legislation and anti-labour bargaining tactics.